Quiz time! What food do bloggers apparently live off? If you answered cupcakes, then yes, you win a cupcake! When one of my old colleagues, Paul (whose personal blog, Dance Like A Dad, is very amusing) mentioned that his wife was going to start making cupcakes to sell, another colleague, Nick, suggested sending me some because he already knew the answer to the above question. 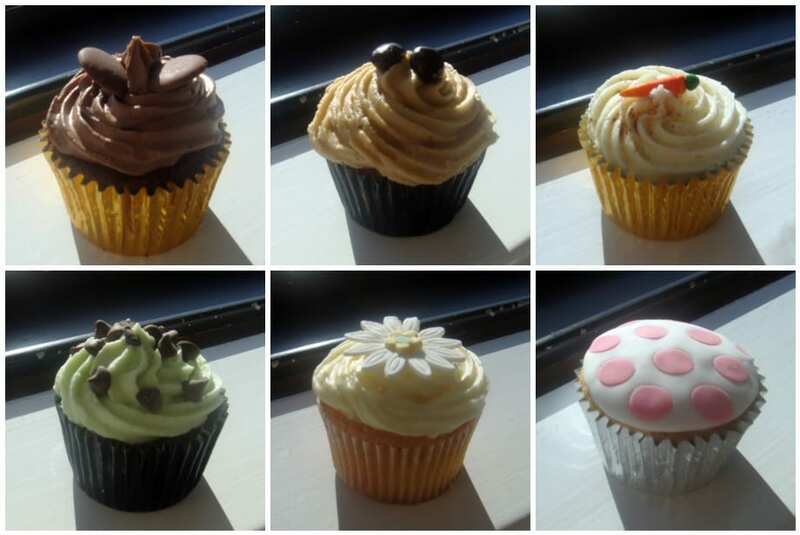 L-R, we have a chocolate one, a coffee one, a carrot cake, mint and choc chip, lemon and vanilla. I couldn’t eat all of them myself, so shared them out with my team (which pleased my boss, she was eyeing up the coffee one before I opened the box!) I had the carrot cake and saved the mint choc chip for the boyfriend. One of the things I dislike about cupcakes (I know, it feels like I’m doing something wrong when I say that!) is that sometimes, the icing to cake ratio is off. (Hummingbird Bakery, I’m looking at you here. There shouldn’t be more icing than cake, and it shouldn’t take me 2 hours to eat one average sized cupcake!) But the House of Cupcakes has the balance just right – which isn’t as easy as you think! I asked my colleagues for their opinions, and they raved about them. Tom, the “new boy” on the team, said they were amazing and changed his life. I’m not sure how a cupcake can change your life, but I’ll leave that to you to judge! 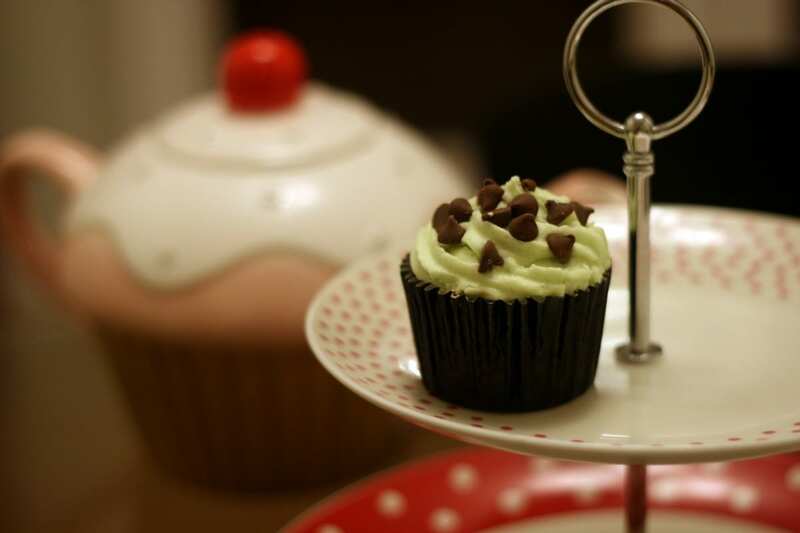 The cupcakes are available for collection, or for a little bit extra they can be delivered to a BS postcode. You can find more information about these delicious cakes on www.houseofcupcakesbristol.com or say hello on Twitter to @houseofcupcakes! Sadness. Noone ever brings me cupcakes. Thanks :) I was stuck with my rubbish point and shoot for the top ones, but the trusty SLR was used for the bottom one. You only like it cause the teapot you bought me is in the background. Still not used it yet! I did their product shoot on Sunday – they were indeed delicious! Small world :) I’m jealous if you got to eat cakes all day! They look really cute. The mushroom one looks like something out of Super Mario! And good choice – carrot cake all the way. NOM. I’m jealous. I love that last picture, too!! I’ve seen that cake stand, oh yeah.